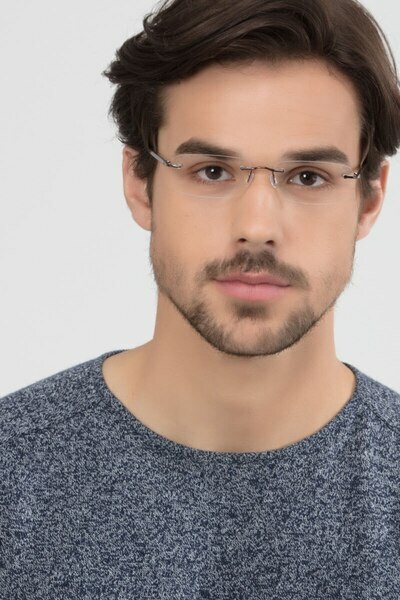 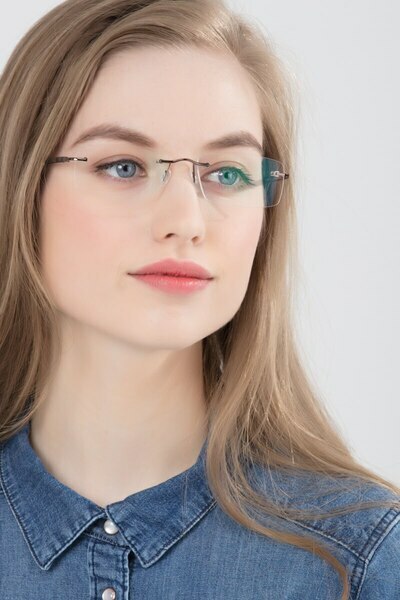 Discover your style with these brown eyeglasses. 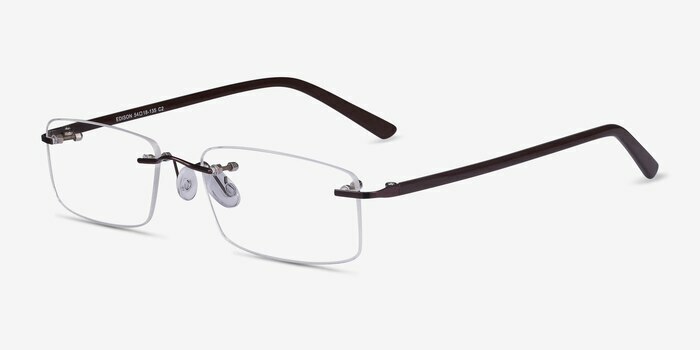 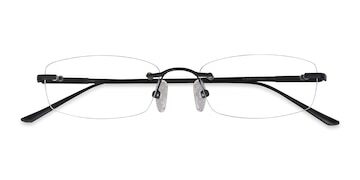 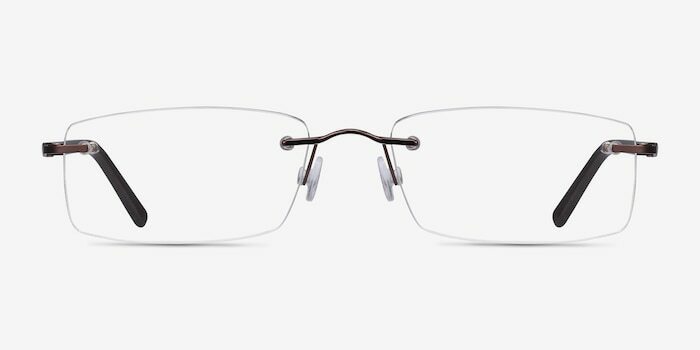 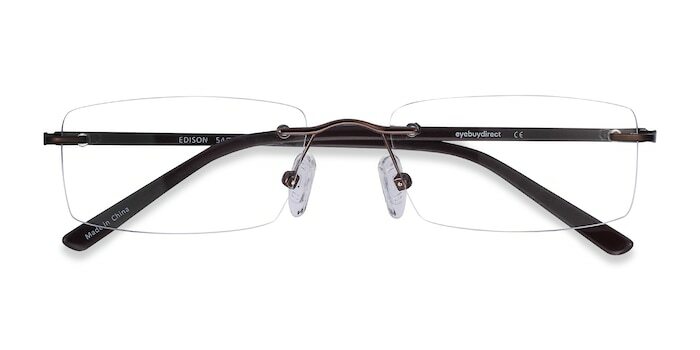 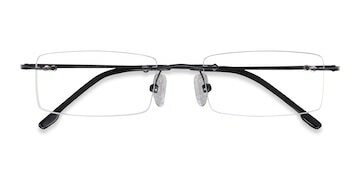 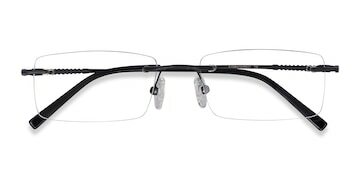 This classic rimless style features rectangular shaped lens and copper metal detailing. 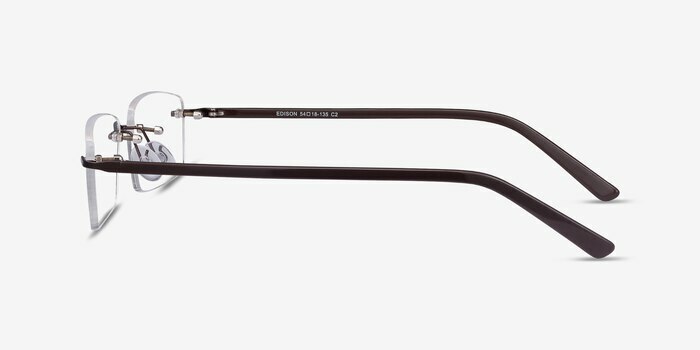 Sturdy brown acetate temples and adjustable nose pads complete this scholarly look that is suitable for both men and women.